She united in marriage to James Hadley and he preceded her in death in 1996. 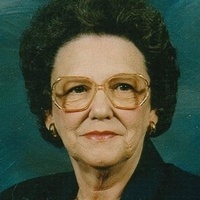 Doris Jean loved quilting and also enjoyed horse racing, going to the Kentucky Derby and UK basketball. She is survived by two sons: Billy Dudgeon and wife, Peggy and Charles “Chat” Humphress and wife, Debbie of Campbellsville; nine grandchildren: Christie Dudgeon, Amanda Vines, Jimmy Dudgeon, April Dudgeon, Jason Humphress, Jennifer Neagle, Jessica Watson, Stacey Porter and Michael Dudgeon; thirteen great-grandchildren; five great-great-grandchildren; one brother, Larry Rice of Morganton, North Carolina; several nieces and nephews and many other relatives and friends. She was also preceded in death by a son, Gerald Dudgeon and one sister, Christine Carney.